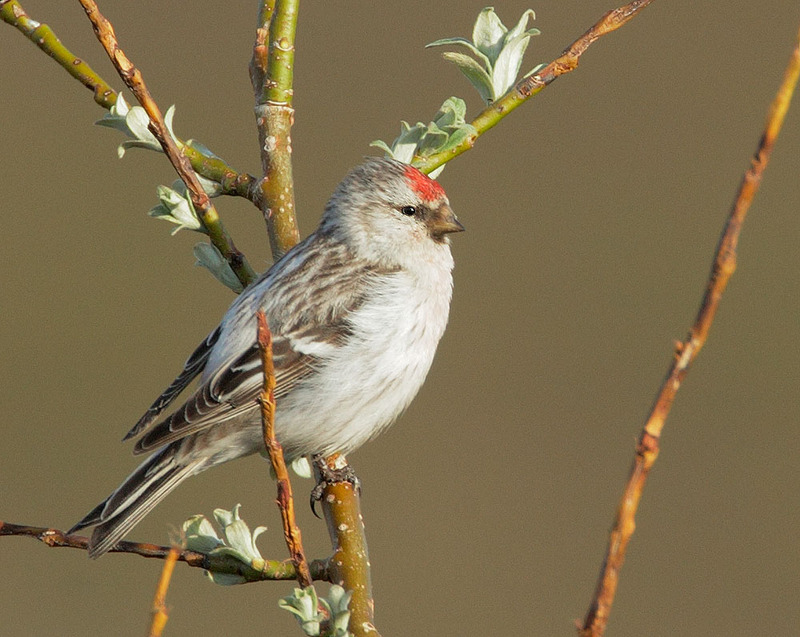 Distinguishing between Hoary and Common Redpolls has long been a difficult identification challenge, well-discussed in David Sibley's blog posts on the subject. Many authorities now believe that they are a single species with changes of degree from most northern (Hoary) to most southern (Common), but without distinct genetic separation. I'm following the American Ornithological Society's decision to keep them (at least for the time being) as two species. The problem in colder parts of the Lower 48 is to pick the occasional Hoary out of a mass of Commons. 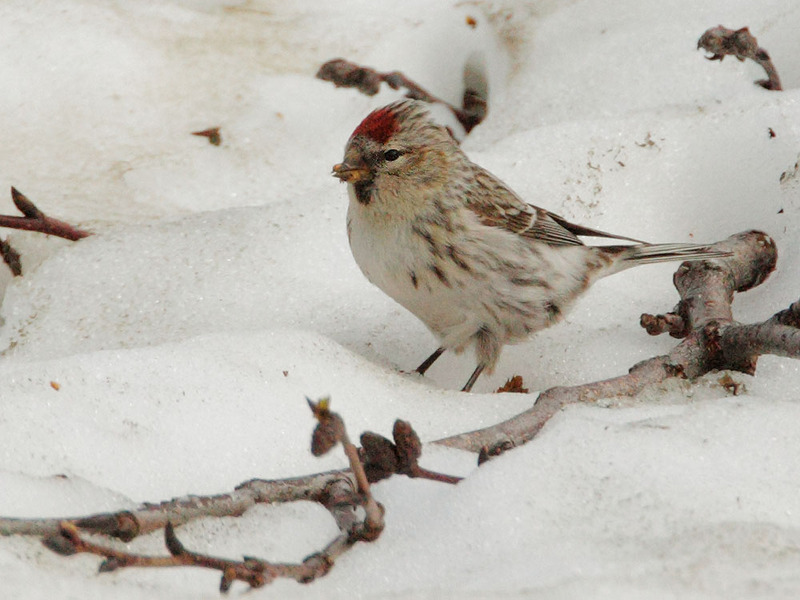 In Nome, where these two photos were taken, most redpolls are probably Hoaries. The bird above is very pale, on the face and back as well as the breast, with almost no streaking on the flanks, and seems a pretty obvious Hoary. I'm guessing it's a male from how pale it is overall, despite the absence of any visible pink on the breast. The bird below is more toward the middle of the range, but I'm going with female Hoary; there is flank streaking, but it looks scattered and thin for a Common. I believe I can see the frosty lower edge of the scapulars, which is a strong mark for Hoary. There is no pink on the breast, and the bird overall is considerably less pale than the one above.